The Best House Music blogs from thousands of top House Music blogs in our index using search and social metrics. Data will be refreshed once a week. Also check out Top House Music Youtube Channels list for Top videos on House Music. House Music newsletter is a comprehensive summary of the day's most important blog posts and news articles from the best House Music websites on the web, and delivered to your email inbox each morning. To subscribe, simply provide us with your email address. New York, USA About Blog House and Deep House music from around the world featuring the Hottest cutting edge DJs and Producers with love for house music. Facebook fans 5,596. Twitter followers 70. San Francisco, CA About Blog This subreddit is for the house music enthusiasts! Facebook fans 1,175,564. Twitter followers 534,606. Melbourne, Victoria About Blog Swedish record label umbrella for HMWL, HMWL Deep and With Love Recordings. Music blog since 2008. Welcome! Facebook fans 5,557. Twitter followers 35. Online About Blog Best website for music streaming and download. Freshnewtracks will share EDM, dubstep, electro and progressive house music online streaming and downloads. Facebook fans 48,334. Twitter followers 11,516. Chicago About Blog House Music from Chicago, House Music for the world. Every variety of underground dance music - House, Techno, Disco, Deep House, Soulful House and more. Facebook fans 12,196. Twitter followers 457. About Blog Deeper Shades Of House is your one stop for all things Deep House. You can find our weekly radio show, guest DJ mixes, Deeper Shades Recordings, our underground record label, a lively community, videos and much more. Facebook fans 231,147. Twitter followers 124,074. Facebook fans n/a. Twitter followers 504. Amsterdam About Blog The leading Amsterdam based, online Deep House Music magazine. With mixes, interviews and reviews of the best Deep House DJ's. News, events, pics & much more. Facebook fans 173,592. Twitter followers 9,834. London || Global About Blog House & Electronic Music News, Event Reviews, Interviews, Industry Tips and more. Facebook fans 12,214. Twitter followers 8,353. About Blog Deepinradio reflects the spirit of the underground generation through the evolution of electronic music. Tune in now and enjoy 24/7 deep house music. Facebook fans 5,423. Twitter followers 1,541. Facebook fans n/a. Twitter followers 48,977. About Blog Pressure Radio is Radio station broadcasting 24/7 playing Deep House, Soulful House, Broken Beat, Nu Jazz plus some specialist shows featuring classic and rare Soulf funk Jazz disco. Facebook fans 1,904. Twitter followers 1,409. About Blog Housemasters radio, the home of the very best DJs from around the world, the up and coming artists to the biggest names in clubland, all live in the mix with best free House music on the net. Join the community today and become part of the nets biggest online radio. Facebook fans 2,189. Twitter followers 821. United Kingdom About Blog It's all about HOUSE. We will keep you up to date with catching news, interviews, reviews and new releases on a weekly basis. Good music has got to be shared! Facebook fans 1,714. Twitter followers 511. N Carolina About Blog DJ Marcus Wade aka Electro Bro is recognized as an innovator and driving force in the Carolina house music scene. His music and production style is a fusion of soulful, deep and tech house styles. Facebook fans 1,971. Twitter followers 801. Facebook fans 2,019. Twitter followers n/a. South Africa About Blog Afro House King provides afro house, gqom, deep house and soulful house music. Facebook fans 6,313. Twitter followers 1,500. London, UK About Blog The Techno Kittens is an electronic music blog covering underground techno and house and a few things in between. Facebook fans 3,790. Twitter followers 2,143. Worldwide About Blog Knights of the Turntable covers new music from the house and techno scene as well as brings you all the latest news and events happening around the world. Facebook fans 3,270. Twitter followers 1,442. Rome About Blog ExpatMichael's opinion of anything relating to disco, Italo disco, funk and boogie music. Promotion for my Ebay and Discogs stores which concentrate on the sale of Disco, Funk, Italo Disco, Hi NRG, New Wave, morning music, sleaze and anything pressed on vinyl. NYC About Blog Spooky music for a spooky generation. Amsterdam, The Netherlands. About Blog Dirty Disco Radio is a premier electronic music and lifestyle podcast / blog. Every week, DJ Kono Vidovic, curates the newest deep house, house music. Facebook fans 714. Twitter followers 466. Facebook fans 6,407. Twitter followers 1,634. Berlin About Blog Interviews, DJ Mixes, House Track Reviews, Housemusic News and more. Facebook fans 2,849. Twitter followers 366. Seattle About Blog Bigroomhouse.online is a magazine covering all the latest EDM tunes, DJs and events with an emphasis on Big Room House. Facebook fans 100,339. Twitter followers 1,051. 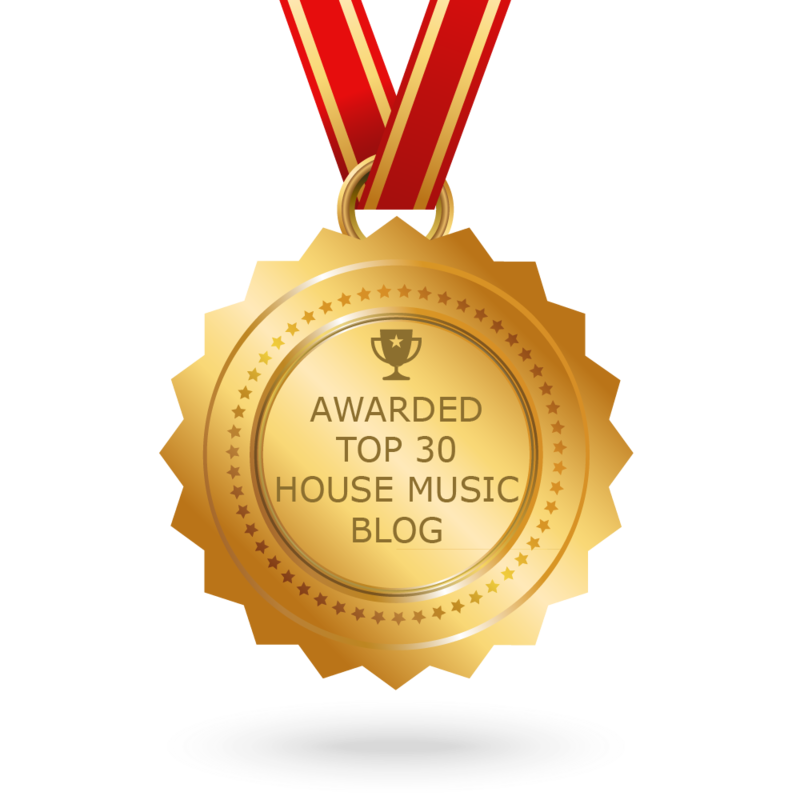 CONGRATULATIONS to every blogger that has made this Top House Music Blogs list! This is the most comprehensive list of best House Music blogs on the internet and I’m honoured to have you as part of this! I personally give you a high-five and want to thank you for your contribution to this world.